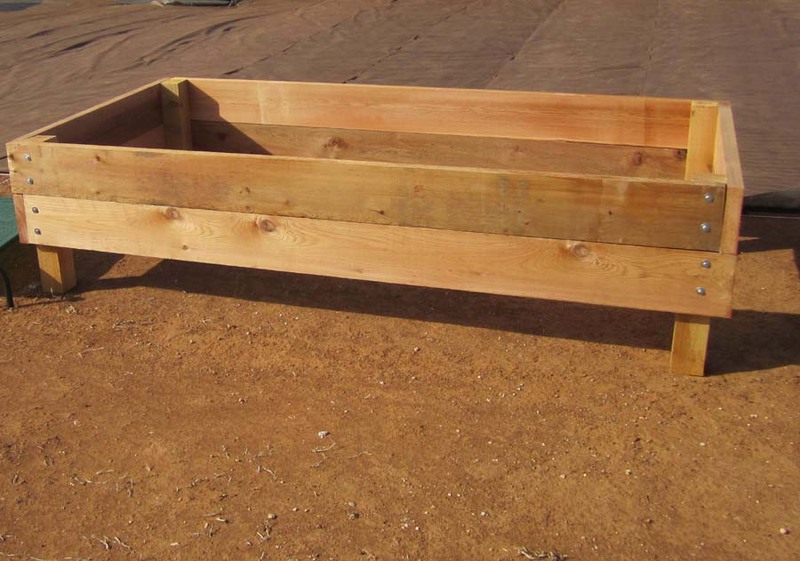 When we came to Lubbock which is considerably more favorable to gardening than was Denver, we knew that building raised beds for a Victory Garden was a must. We wanted to grow enough veggies for eating fresh and for canning, freezing and/or preserving. Ordered 2"x8"x8' and 4"x4"x8' rough cut cedar from Lowe's. Also order Grand Empire decorative fencing to enclose the beagle's backyard. Lowe's delivered both. alternated (see pic above right). Each layer was clamped in place. were dug to accommodate the legs. By the end of March 2012, all 20 were completed; filled with top soil, compost & composted cotton burrs; and seeds were sown.